If you are considering liposuction in the Indianapolis, Indiana area, call Board certified plastic surgeon Dr. Joseph Fata at 317-575-9152 to learn how ultrasonic liposuction can give you the best result. 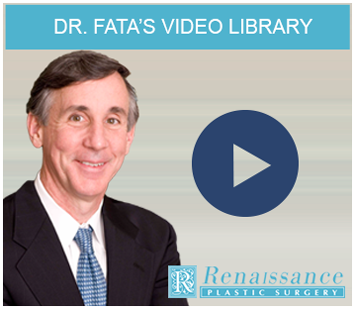 Dr. Fata will explain how the differences in ultrasonic liposuction technology can be of benefit to you. Liposuction was originally designed as a fat removal technique using a vacuum pump. The fat was removed in small, solid chunks by sucking it away from the surrounding tissues. This type of traditional liposuction technique worked well in areas with soft, loose fat that was easily removed. However, in areas of the body in which the fat was firm and tight, liposuction was traumatic because it pulled fat away from attached nerves and blood vessels, resulting in increased swelling, bruising and numbness. Ultrasonic liposuction was developed to address the problem of firm, difficult-to-remove fat by using sound waves. The difference between ultrasound used during pregnancy and ultrasonic liposuction is that the frequency of sound waves is much higher in ultrasonic liposuction, causing fat cells to vibrate and eventually leak. The result is that both the fat and the fat cells can be easily removed in a liquid form with minimal trauma to surrounding tissues. A variation of this technique of ultrasonic liposuction is external ultrasound. In external ultrasonic liposuction, sound waves are delivered through the skin using an external paddle. External ultrasonic liposuction has not produced results that have been as predictable and consistent as internal ultrasonic liposuction and today it is rarely used. The advantages of ultrasonic liposuction are that it can remove fat with less injury to the surrounding tissues, which leads to less swelling and bruising. Ultrasonic liposuction is also more effective in areas in which fat is difficult to remove, such as the back, hip rolls, chest and breast. It is also far more effective than traditional liposuction if liposuction has been previously performed because it can penetrate the internal scar tissue surrounding the fat. One of the only potential disadvantages of ultrasonic liposuction is that the heat given off may cause minor burns, but by injecting cooled fluids, the temperature is controlled and we have not seen anything beyond some redness at the entry site. The only other issue is the increased incidence of fluid collections called seromas. However, if ultrasonic liposuction is not used in areas of loose skin and treatment times are appropriate, seroma formation is very uncommon. Dr. Joseph Fata performs liposuction on his patients in Indianapolis and Carmel, Indiana. 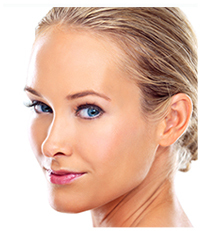 Please contact Renaissance Plastic Surgery online or call 317-575-9152 to learn more about the advantages of the ultrasonic technique.